For many restaurateurs and businesspeople, opening a new food spot in Santa Monica can be a nightmare. Red tape and delays make the process a long, dragged out affair. (Am I right Lemonade, Creams & Dreams? And Caffe Primo… we feel your pain.) But for some magical reason known only to the god of multinational coffee chains, a new Starbucks can open in days in the notoriously challenging city. 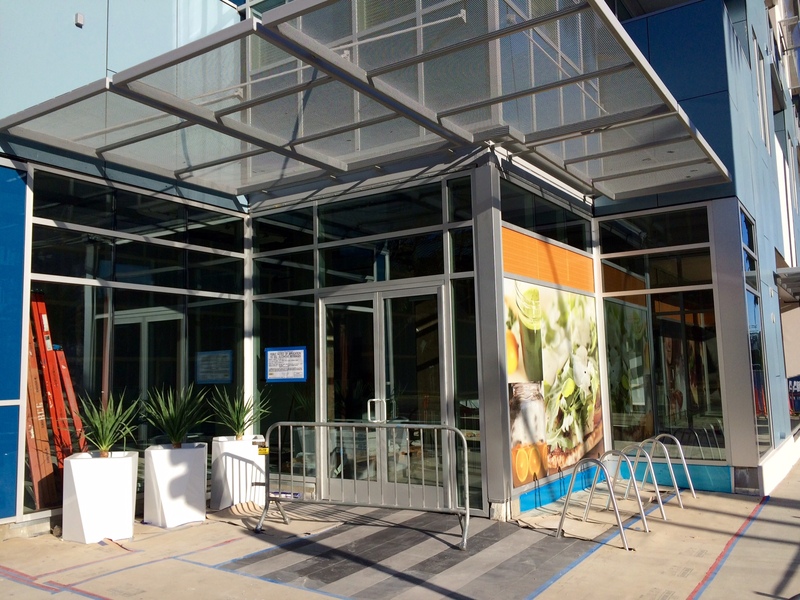 It was only back in mid-October that I told you about a new branch of the ubiquitous coffee purveyor being built on the ground floor of Santa Monica Place near Bloomingdale’s. One month and a half later, Starbucks is open and probably giving Ugo Café a run for its money. Downtown Santa Monica continues to be a flurry of urban renewal. I’ve been carefully watching the development on the corner of 7th and Arizona, which until recently has been concealed by scaffolding and plywood. All that came down this week to reveal an ABC application in the window. 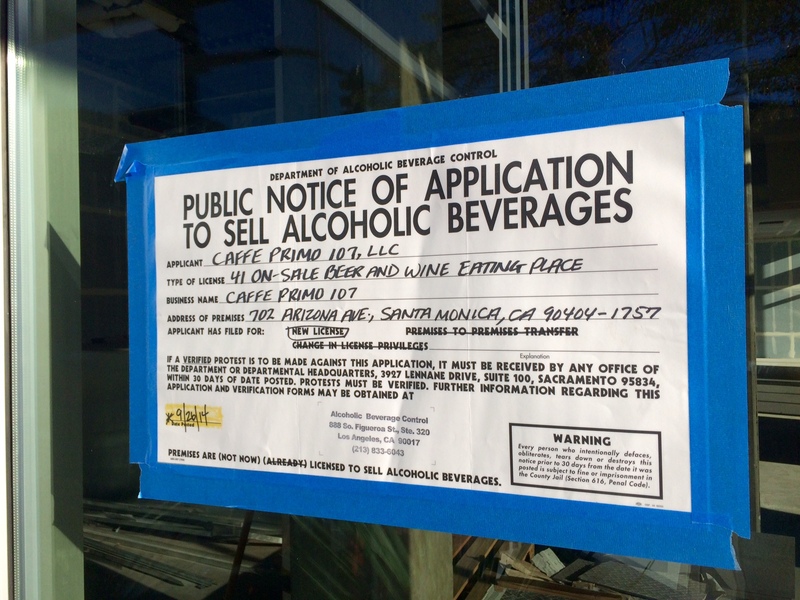 With locations in West Hollywood and Downtown LA, looks like popular casual eatery Caffe Primo is expanding west, to 702 Arizona Ave. to be exact. No word on an opening date yet, but until that magical day, you can read more here.